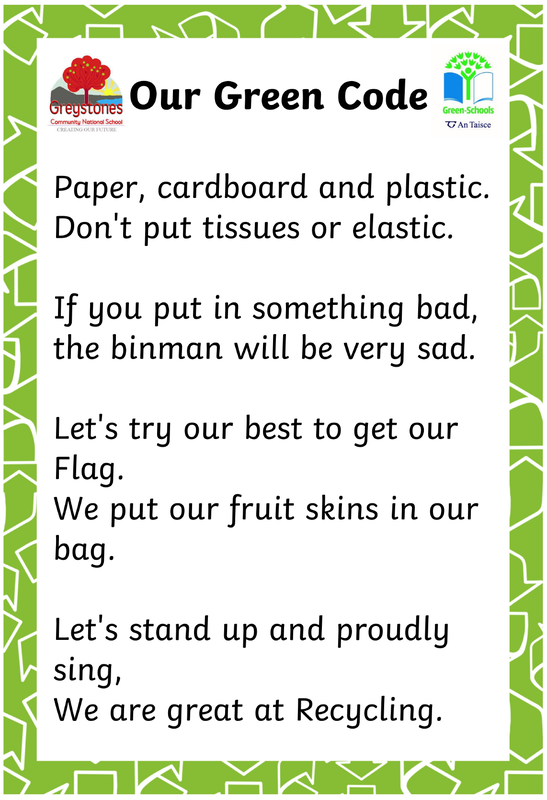 Take a look at our Green Code, written by the boys and girls on our Green Schools Committee. 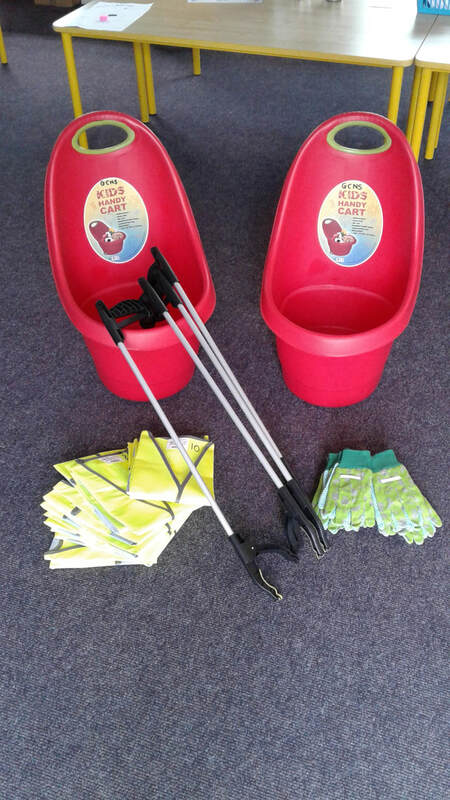 It reminds us all to reduce our waste and use the bins in school and at home correctly. 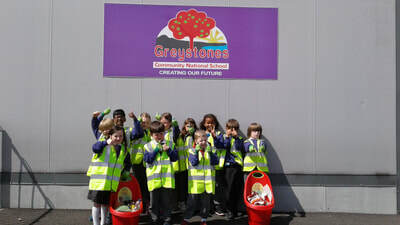 Our school is taking part in the Green Schools Initiative. This year, we are aiming towards our first Green Flag, which deals with Litter and Waste. We have also become involved with the 'Litter Less Campaign' which awarded us with a grant to purchase litter pickers, high-viz vests, children's gardening gloves and litter carts. 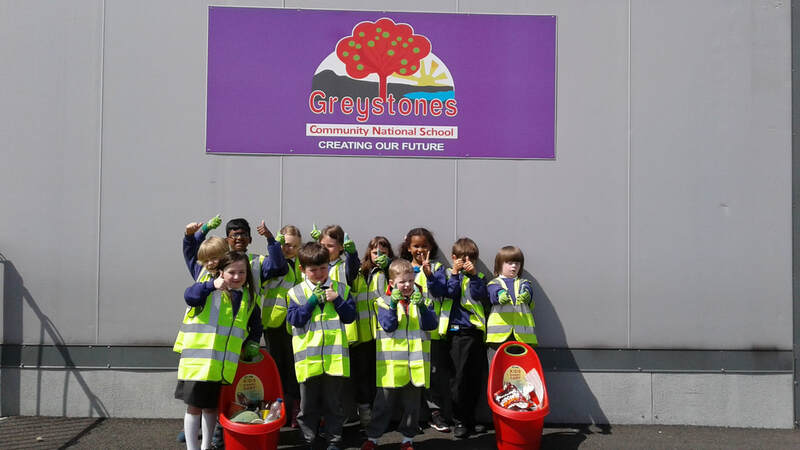 The Green Schools Committee comprises of children from each class, Junior Infants to First Class. 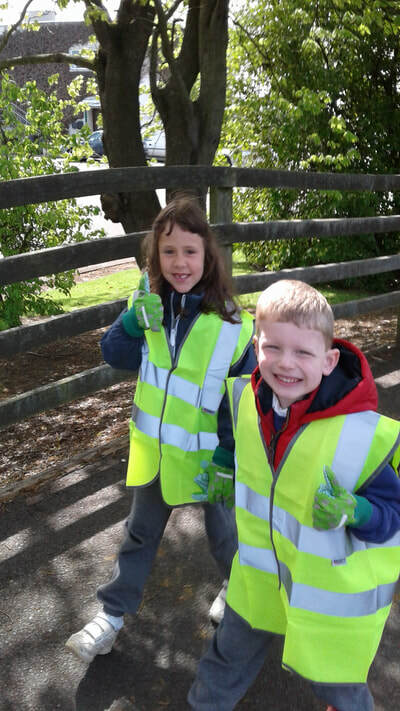 We have a very dedicated group of children on board who are enjoying their role and promoting Green Schools. Our children have become more aware of recycling and are conscious to put the correct waste in the correct bin. Children are also encouraged to bring home their lunch waste every day. We recently used our new equipment to clean up the Community Garden at Shoreline. We collected two cart-fulls of rubbish - we could not believe our eyes! Thanks to the boys and girls for all their help! We look forward working with the Green Committee to achieve our First Green Flag in the near future!